The unicorn often appeared in religious imagery throughout the middle ages. 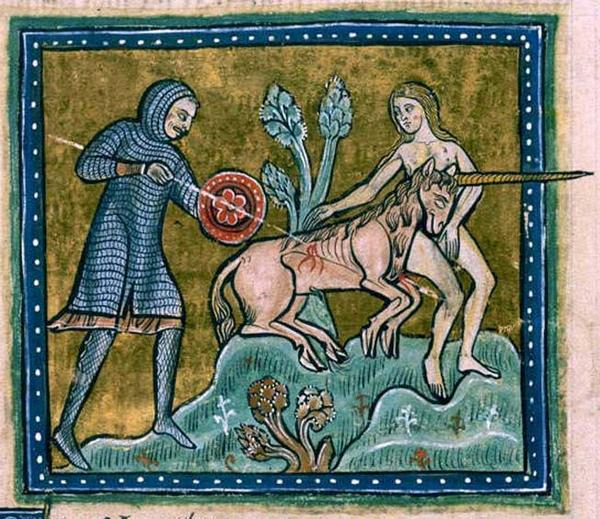 This image depicts the traditional medieval myth that the unicorn can only be captured by first luring it out into the open with a young virgin girl. In religious imagery pictures of the unicorn being speared by the hunter are commonly interpreted as being representational of Christ on the cross whilst the hunters are thought to represent the Jews who contributed to his death.